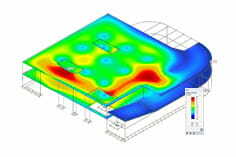 My problem is that I can not enter deformation proof settings in RF-CONCRETE Surfaces because the tab is missing. Can you tell me why? In order to be able to calculate deformations in state II in RF-CONCRETE surfaces, one or more load cases / combinations must first have been selected in the mask "1.1 Basic information" in the "Serviceability" tab (see Figure 1). A little further down in this mask you will also find the selection, whether the "Analytical" or "Nonlinear Calculation" should be performed. 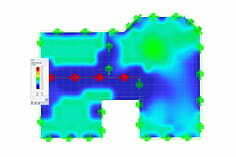 If " Analytical ... " is selected, the "Deformation with RF-CONCRETE Deflect" must be activated in the detail settings (see Figure 2). If " Nonlinear ... " is selected, the "deformations" are also found under the options for non-linear calculation. The deformations are activated here by default (see Figure 3). Further information on the deformation calculation with RF-CONCRETE Deflect and RF-CONCRETE NL can also be found on our homepage.